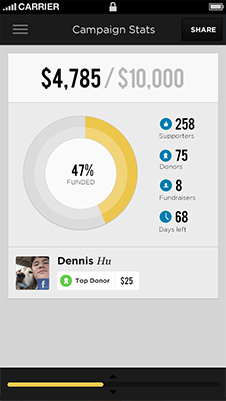 Fundly is the best mobile social fundraising platform. 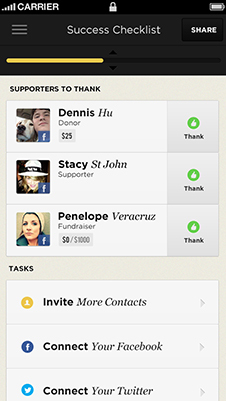 It has everything you need to manage and run fundraising campaign right from the phone. 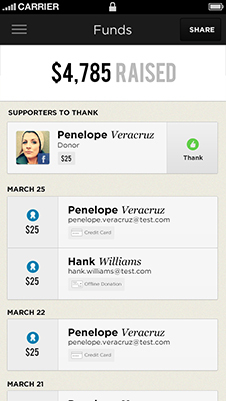 Users can track progress of their campaigns, reach out to their contacts and donors, get push notifications on new activities in the campaigns, post photos, send notes to donors directly from the app, manage alerts, and post social updates and blogs. 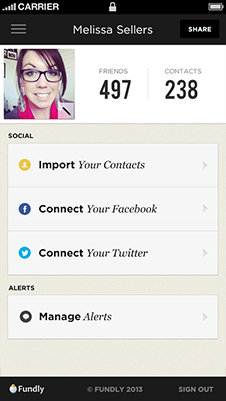 This is an awesome innovative platform, with a slick modern interface and rich easy-to-use feature set. 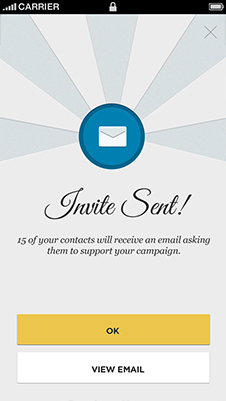 Implementing this platform involved a wide array of technologies, including iOS native development, server-side integration and PUSH capabilities, social integration with several networks, and Salesforce integration for CRM capabilities.